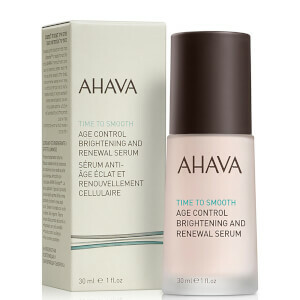 Revive the appearance of your skin while you sleep. 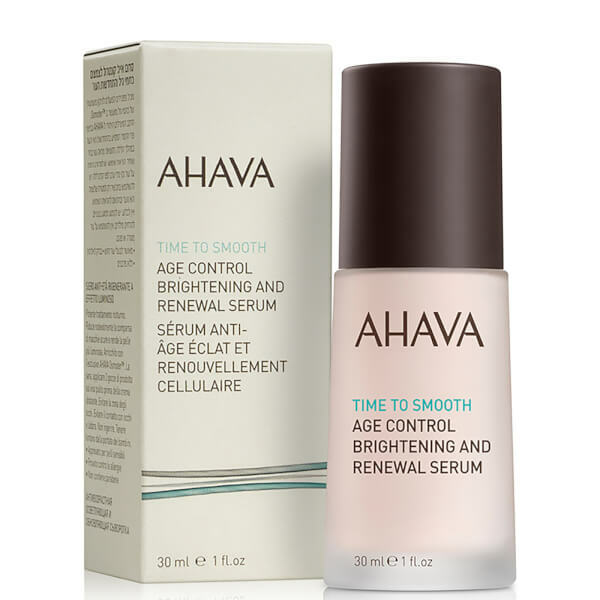 AHAVA's Age Control Brightening and Skin Renewal Serum is a night-time serum that works with your skin during its natural renewal process to help promote a brighter, smoother-looking complexion. Infused with a host of technologies and beneficial ingredients, the radiance-restoring formula combines a VF Brightening Accelerator Complex with a 3D Complex to help brighten the complexion (inhibiting the production of dark spots), while expertly smoothing the appearance of fine lines for a younger, more refined looking face. Maximising your skin's natural renewal process whilst you sleep, the serum helps to diminish the look of dark spots, and its dose of Date extract performs a firming effect so skin looks younger. Come morning, your complexion will feel brighter and renewed. Apply 2 drops on clean face and neck before moisturiser nightly. Not to be used for children under 3 years of age.